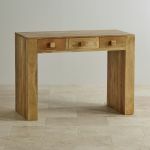 The Mantis Light Natural Solid Mango Computer Desk demonstrates the effectiveness of minimalist design. 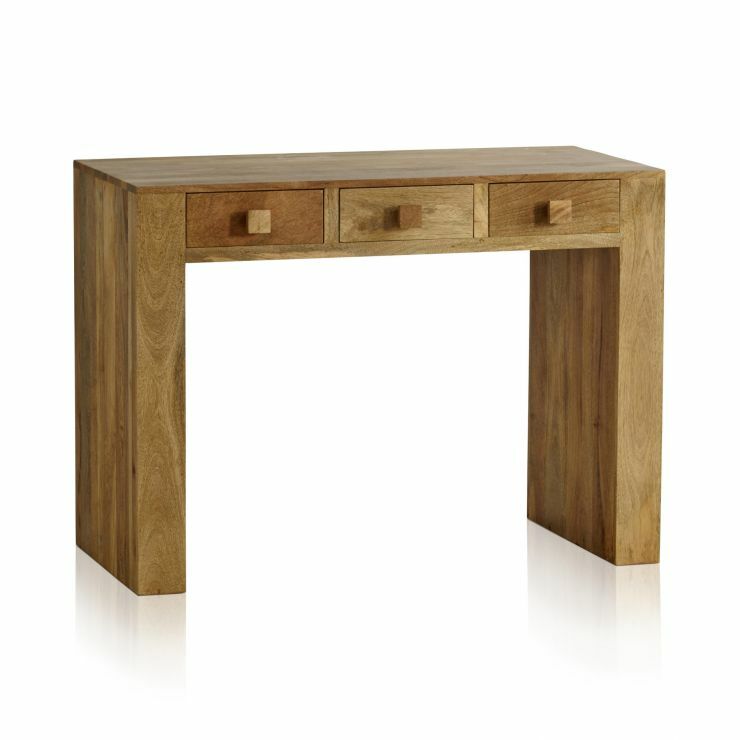 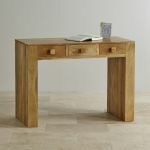 Crafted by skilled joiners from premium grade solid mango wood, it features a large tabletop for your laptop, books and table lamp - and three compact drawers to tidy away any stationery or vanity accessories. 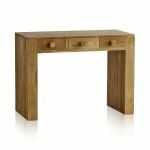 The chunky, box sculpted frame gives the table a reassuringly solid feel and ensures you have plenty of room beneath the table to pull in a dressing table stool or office chair. 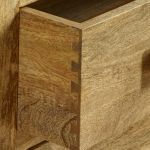 Each drawer is made using robust dovetail joints with solid mango linings and beautiful cubed mango handles, which blend in with the drawer faces. 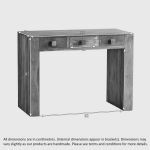 You won't find any cheap chipboard or MDF anywhere on this piece because at Oak Furniture Land we only use the finest grade solid hardwood.